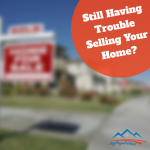 Are you still having trouble selling your home? Do you need cash FAST? Well allow JBD to assist. We offer instant cash solutions to overcome your hardships. We understand the difficulty of selling your home and the stress it may cause you. Facing foreclosures? Covered in bills? Inherited an unwanted property? no problem, JBD has you covered. We will offer you an instant cash solution and will have your property sold within 30 days, GUARANTEED. Call us at (313)355-0149 or visit JayBuysDetroit for more information.